It’s spring, so I’m writing about eggs 😉 Just kidding. The egg is a great symbol. The shell is strong and vulnerable at the same time, just as we are. Music is liberating, music helps you to face difficult situations. Though if you work with live music, if live music becomes your work, the situation turns around. Look at the egg. 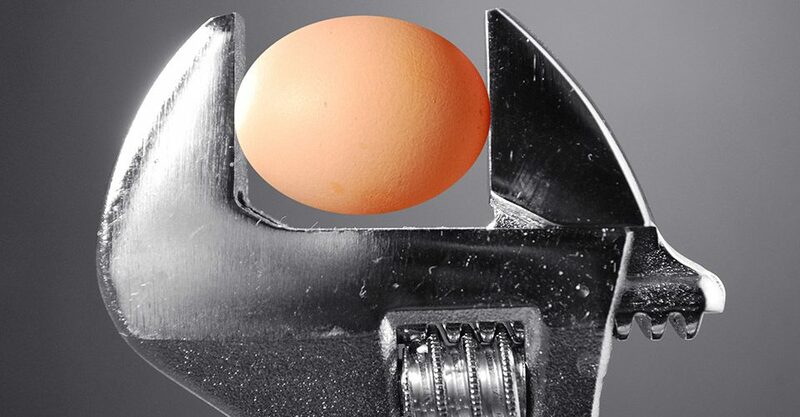 As long as there are no cracks in the egg shell, you can put a huge amount of pressure on the egg, and it will not burst. Once there is one small crack, the slightest pressure will create scrambled eggs. As a musician, promoter or manager, music offers you a strong shell. As long as you enjoy music and as long as there is no crack in your body or mind, you can handle a lot of pressure. Though there are 7 conceptions in the live music business that often cause the first crack. 1. When I work with passion, I don’t need holiday. In many articles about burn-out on the internet you can read, that you can avoid burn-out if you bring more passion into your work. They ignore that passion makes you push your boundaries and makes you blind for the warning signs of burn-out. Even if you work with passion and love what you do, you need a time-out every now and than. 2. With talent and hard work I will get there. Talent and hard work are necessary if you want to make it, of course. But do not underestimate the role of luck in the live music business. Imagine that you are successful. It feels so good if you can say that you deserve your success, much better than if you have to admit that you just have been lucky with hit. If you are not successful, more hard work often does not make much difference, but will bring you on the edge of a burn-out. 3. The show must go on. The audience is expecting the show to go on. How you feel, physically or mentally, does not matter. You push yourself to make the show happen, to fulfill all the expectations. If you have to push yourself too often, you will become adjusted to ignoring how you feel. That way you will become alienated to yourself. You need to make time to connect to yourself and your feelings and emotions again. 4. Everyone else is doing great, I am the only one with problems. In the live music business, everyone is selling him/herself by continuously showing the I’m-doing-great-mask on their face. Talking about problems is seen as weakness, as being a loser. We all pretend to be the winner and we hide the problems we have. If you are not doing great, be assured that you are not alone. It’s up to you if you dare to talk about it. If you do, you might be surprised how many people around you dare to open up too. 5. Once I am rich, successful and famous, all problems are over. We envy people who are rich, successful and famous. It’s easy to envy them because we have no idea of the trouble they are going through. As a musician, you become very lonely once you have success. The hardest part is, that because of this conception, you can’t talk to anybody about the loneliness or other problems you have. People don’t want you to destroy their conception. 6. I don’t deserve the success I have, therefore I have to work even harder. Here I’m talking about the ‘imposter syndrome’. You don’t think that you deserve the privileges you get, the attention and admiration. Once you have gained success, you think that you have to proof that you are worth it by working even harder and harder. You can’t be grateful for your achievements and others might think of you as arrogant. 7. I have to work harder than everyone else, if I’m not a while, male person. The live music business is still dominated by white, male persons. If you are different, you try to become accepted by the dominating group by working harder than everybody else. Often you will lose your identity by trying to adapt, only to discover that you can’t push a circle in a square. Being authentic is more important than being part of that dominating group. 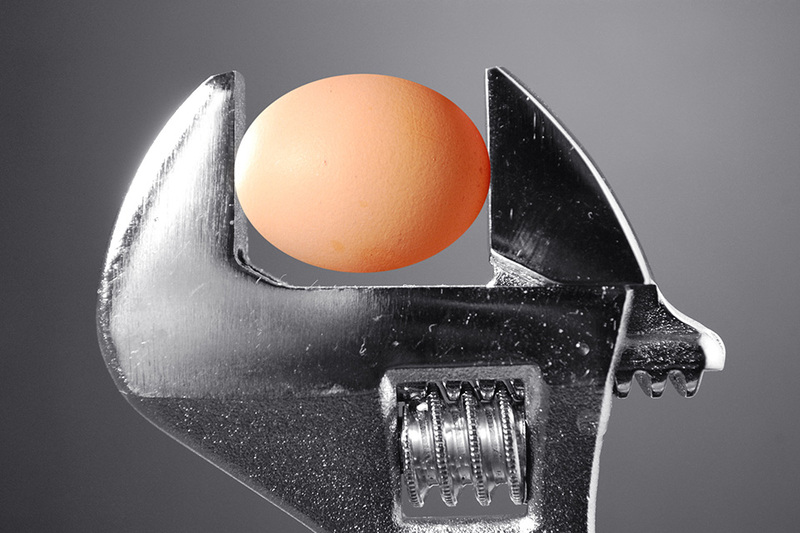 These 7 conceptions can cause a crack in your egg shell, or can multiply an existing crack. You can’t always avoid them, though you can be aware of them. Only with awareness you can redirect the pressure, compensate it with an extra amount of relax-time, repair your shell. Do you wonder how you can repair your shell and how to counter these conceptions? I am happy to tell you how I can help you with it. Looking forward to hear from you.